...when you hear a great song, "you can think of where you were when you first heard it, the sounds, the smells. It takes the emotions of a moment and holds it for years to come. It transcends time." You could say the same about books. I've been trying to "declutter" my collection a bit, but I think part of what makes it so hard do is that my books are my memoir -- my printed and bound connection, not just with the words on the page, but with who I was and what I was doing when I read them. I have a few books from my childhood, more from adolescence and early adulthood. A few college texts, like the two I mentioned in my last post. Lots of yellowing paperbacks I hung on to because they're classics, or out of print, or I like re-reading them periodically. Some of these, like the four-book Thomas Costain set on the history of the Plantagenents, are associated with strong and specific memories of the time I spent reading them. Other books reflect hobbies and interests old and current, or not yet taken up beyond the reading: cooking, horse-riding, crochet, writing, scuba diving, gardening, and decorating. Books are a big part of travel too. There are guide books, of course, but also books on the history and culture of my destination that I like to take along or read before I go. Ann Mah's "Mastering the Art of French Eating: Lessons in Food and Love from a Year in Paris" accompanied me to Paris last year. I read it on the Eurostar, while hurtling through the Channel Tunnel and across the French countryside. Recently I decided to slowly read my way once more though my book collection -- specifically as a means to rediscover my past self who collected, read, and loved each one enough to keep and carry through a number of long-distance moves. I've just finished a re-read of Daphne Du Maurier's "The House on the Strand" -- a book I've long considered one of my all time favorites. I still find many things to love there: it's set in Cornwall, it has a time-travel element as two plot lines develop simultaneously, and it has an unreliable narrator (the first, I think, that I personally encountered in fiction). Just like the first time I read it, I still share the narrator's growing addiction to the medieval past as he evades responsibilities in the present day so he can get back to the far more interesting events of an earlier era. Next I think I'll re-tackle "Mary Queen of Scots," Antonia Fraser's biography of the ill-fated queen. 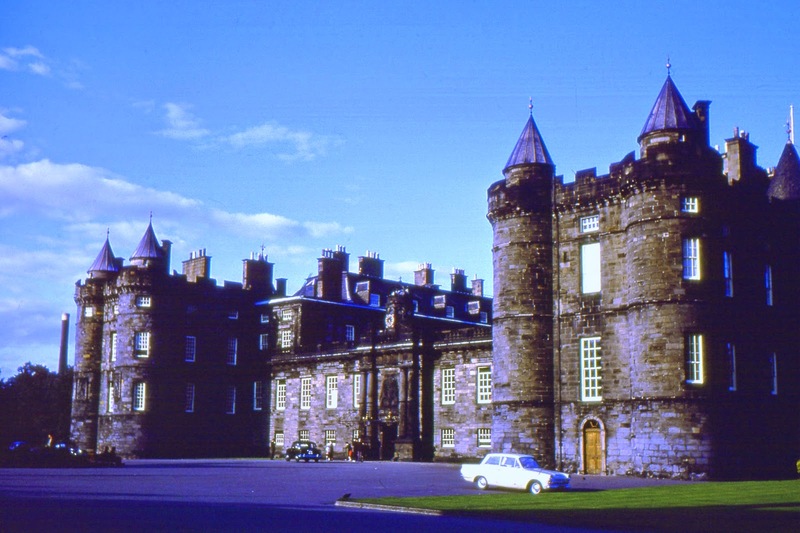 We're headed back to Scotland later this year, and I'm very much looking forward to revisiting the Palace of Holyrood House and other sights in Edinburgh (where I haven't been since the mid-1960s). My paperback copy is dated 1971, possibly the first paperback printing following the original 1969 copyright. I can't think of a better way to revive old memories of a previous visit, while getting ready to create new ones.